Nassim Regency is situated along the exclusive "Embassy Row", the high class Nassim residential enclave surrounded with abundant greenery and beautiful bungalows. Nassim Regency is a stone’s throw from the Botanic Gardens and Orchard Road. Perfect for expatriates who is looking for tranquility and fresh air yet near to amenities. There are 30 deluxe three-bedroom apartments ranging from 1,950 sq ft to 2,160 sq ft with recreational facilities like swimming pool and playground. Nassim Regency is the ideal home close to the city. 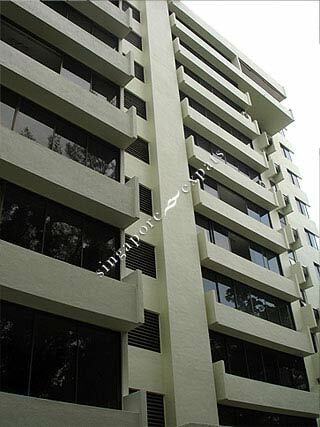 Nassim Regency is within walking distance to Tanglin Mall and Forum Galleria Shopping Centre. It takes about 10 minutes drive to Raffles Place, Central Business District of Singapore. Residents can also walk to the Botanic Gardens within 10 minutes. High end living near the famous Orchard Road Shopping District. Indulge in this quiet and spacious development now.